90% of all purchases begin online (source: IBM). This happens because it’s easy for us to type the keywords for what we need into the query box of a search engine. If a Library of Congress existed for keywords, it would be Google Trends. 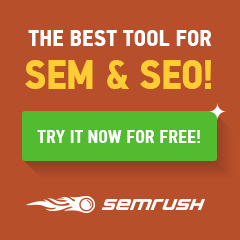 It’s the largest catalog of keywords in the world. 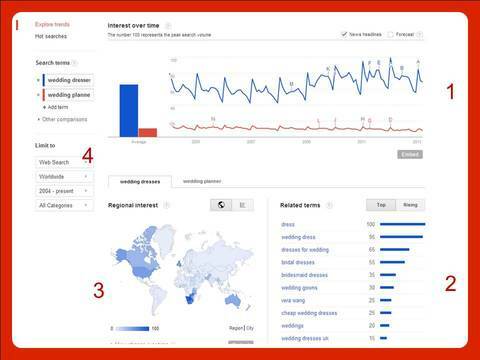 Google Trends stores, charts and trends every keyword since Google began monitoring them. Google Trends also identifies similar keywords and shows the location where they are searched most often. It’s probably one of the most valuable business building tools available, online or offline. 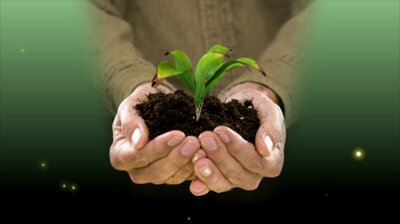 How does it help grow any business? Here’s how in 8 simple steps. 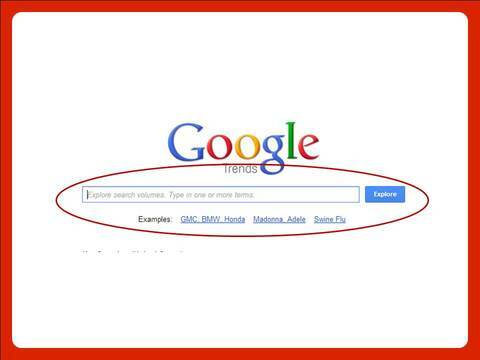 THINK LIKE YOUR CUSTOMERS: Go to Google Trends and begin by typing the keywords you want trended. It’s similar to how you would normally use a query box. 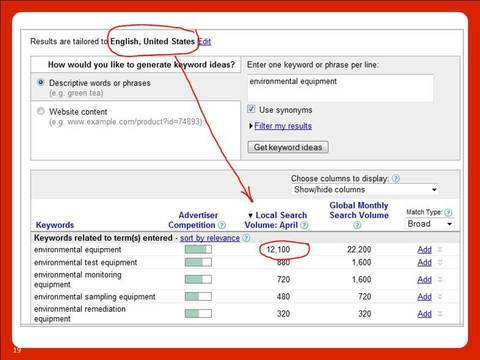 You can even get results for multiple keywords at once by separating them with comma. But now you’ll see the world from your customer’s perspective and what they need. SEE WHAT’S ON THEIR MIND: You’re taken to a simple but very well laid out dashboard. It indexes those keywords to show how consumer search has trended over time. It charts: 1) How it has changed, 2) What are similar keywords they are also searching, 3) Where is the most activity coming from. You can even customize the time period (4). Let’s look at each of these four areas with specific examples. 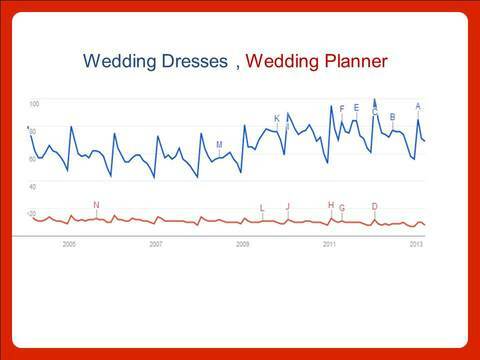 BEST MEET THEIR UNMET NEEDS: It looks like it’s a good time to be in the wedding business from the chart above; that is, if you sell wedding dresses. If you’re a wedding planner, not so much. This should send a signal to any wedding planner to include the selection of a wedding dress as part of their planning process. KNOW WHEN DEMAND IS GREATEST: My mother-in-law wrote a cookbook. It’s called Savoring the Hamptons. It’s a labor of love but a challenging time to be selling a cookbook. However, during the holiday season, demand jumps. In fact, it doubles. 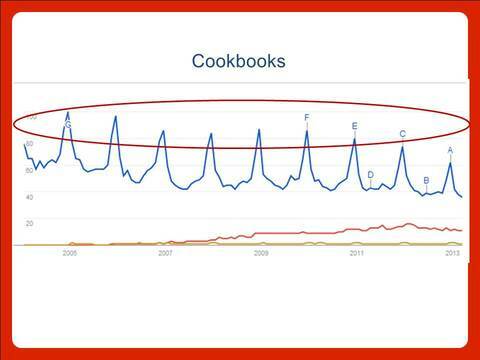 One reason, as the letters indicate on each peak, is that’s when the “Best Cookbooks” articles for a particular year come out. Google Trends even explains the changes for you. This shows when to be applying resources. IDENTIFIES WHERE THERE IS THE MOST DEMAND: In the lower left corner of the dashboard, you can click on any country and, the darker the color, the greater the search activity for a particular keyword. 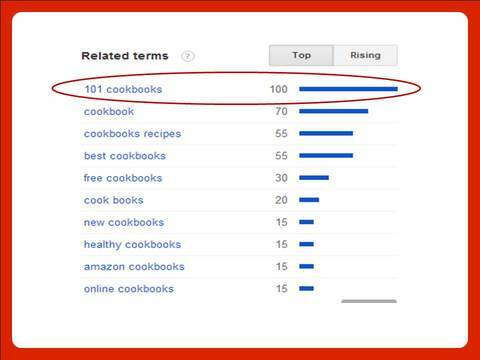 For cookbooks, the greatest number of searches occur in Maine, Montana and the state of Washington. It’s a good thing my mother-in-law’s cookbook is available online. DISCOVER COMPETITIVE ADVANTAGES: In the top-left part of the dashboard, you can customize and change the time frame. 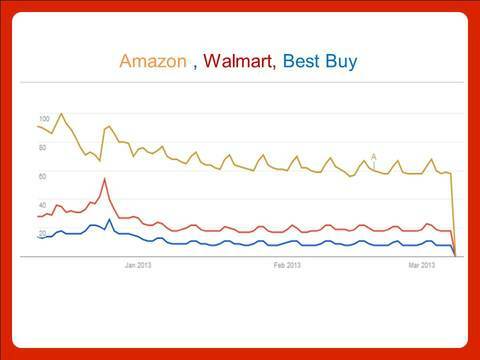 I charted the last 90 days activity for Amazon, Walmart and Best Best. I was surprised to find that searches for all three peak on Sunday. It may be a day of rest for some, but, with this knowledge, it’s an opportunity to steal share from the competition. SEE THE ABSOLUTE NUMBER OF SEARCHES: Google Trends works by indexing keywords. If you want to see the exact number (and some people do), just go to the Google Adwords Keyword Tool. There are a range of businesses listed in these examples because there is no business that can’t benefit from the use of Google Trends. We use it to help guide the business direction of our clients from Fortune 500 companies to start-ups. 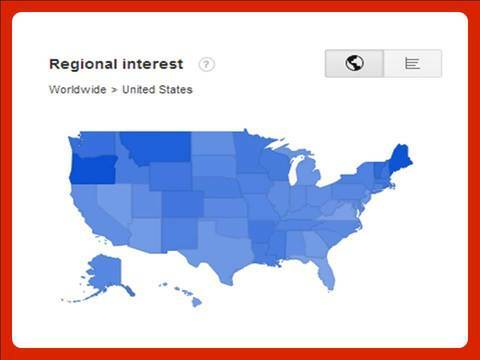 Maybe we can help you on the use of Google Trends for your business? Do these 8 steps help you to see how Google Trends can help your business grow? Thanks for putting this list together. I’ve seen it in other forms but your visuals really help! The trick about competitive advantage and seeing the peak time is a new one for me.